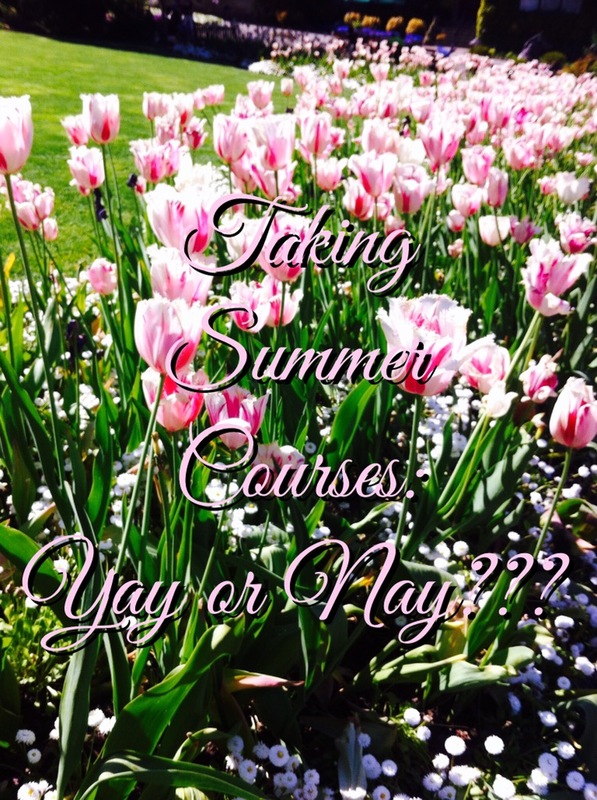 Taking Summer Courses: Yay or Nay??? With my third year of university now at an end, I have potentially only one more year to go before graduation. Yikes!!! Of course, I could tack on another major and a minor and delay graduation by at least another year. In the event that I want to graduate next spring though, I may need to take summer courses. I have managed to avoid them during my three years in university, but I have been giving them a lot of thought as of late, so I wanted to share with you the list of pros and cons I have come up with about taking summer courses. Have you taken summer courses before??? How did you find them??? Would you recommend them?? ?